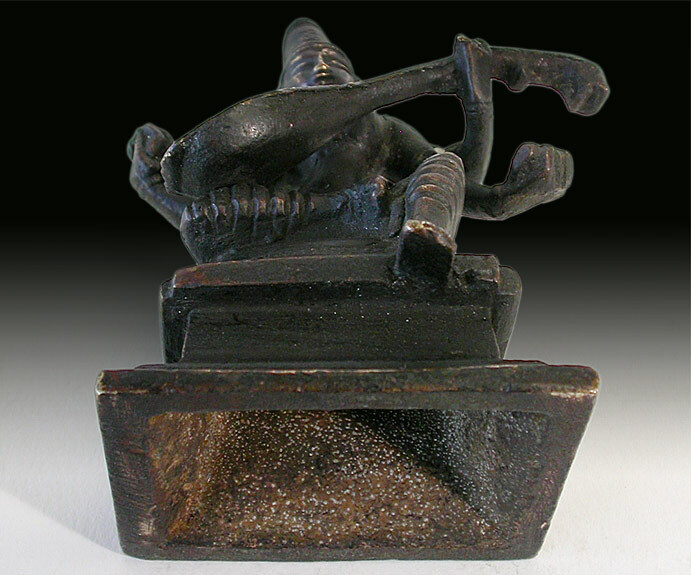 A charming little Indian bronze for traveler. 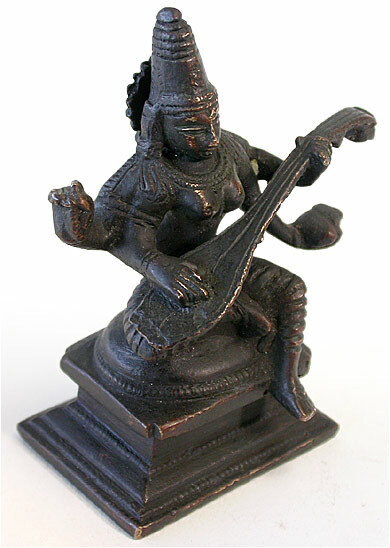 Depicting Saraswati, the Hindi Goddess of knowledge. 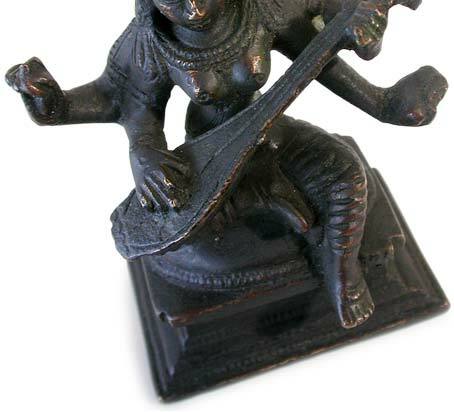 She sits in royal ease on a squared double plinth, playing her Venna with two of her hands. In the other two she holds a mala of white pearls, and the sacred Vedas, representing the knowledge of all sciences. 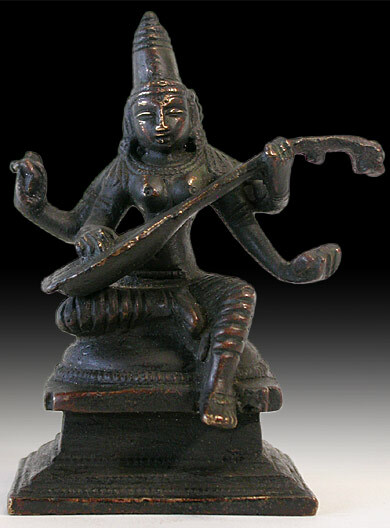 Saraswati is the god of learning and the arts, particularly in the realms of communication, literary and verbal skills. She is also the goddess of rivers, of “all that flows”; thoughts, words, or the current of a river. The cast is thick, though the base opens up to reveal a shallow cavity. 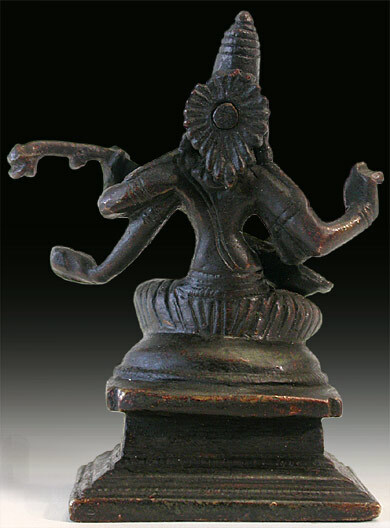 The bronze has acquired a dark patina, though places that have been touched repeatedly over time reveal a shining golden bronze. 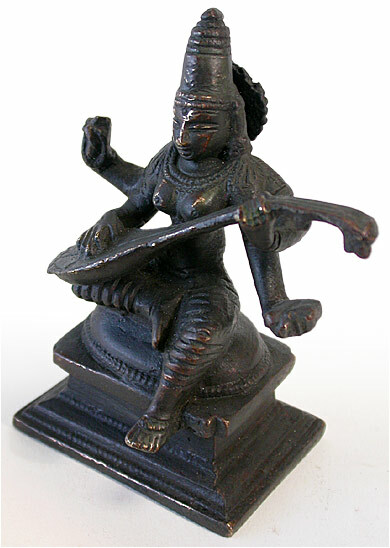 Saraswati sits in the motion of composition, her arms and music emanating formless waves of stillness and silence. She is the only goddess to be equally revered by all the gods, demons and Vishnu alike. In excellent condition.